Cambridgeshire County Council has postponed a meeting to discuss a devolution deal with Peterborough until next week, to allow members time to ‘digest’ the deal. 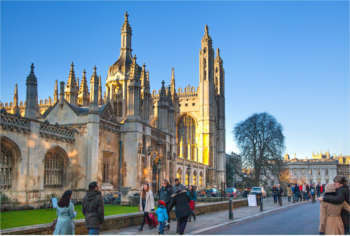 The deal would create a combined authority between Cambridgeshire CC and Peterborough City Council, as well as including Cambridge City Council, and Fenland, Huntingdonshire, East Cambridgeshire and South Cambridgeshire district councils. It could be worth nearly £800m over 30 years, including £170m for housing, and would see road and rail infrastructure improvements. In a statement on Monday (14 November), Cambridgeshire CC said its chairman, Cllr Sebastian Kindersley, had postponed the meeting, which was to have taken place today, until next Tuesday, 22 November. It said the decision was made to ensure the draft order from Government for the deal could be finalised and members given a chance to understand it, ‘as well as allowing any points of clarification raised with Government so that it can be put to Councillors’. Cllr Kindersley, said: ‘It is reasonable that members should have time to understand and digest the deal before being able to debate it. This delay of just one week is a sensible way forward to make sure we have the time to look at the finalised draft order and speak to Government.